RD Biomed is delighted to introduce the new Peptest packaging and instructions designed to enrich our customer’s experience and make reflux home testing easier than ever. Peptest is an accurate, painless and inexpensive test that measures the presence of stomach enzyme pepsin in saliva samples. The reflux home testing kit has always ‘rated highly with customers for our speed of service, value for money and easy to follow instructions’, but we wanted to make Peptest even simpler to use and ensure a better customer experience. Our new branded, robust and recyclable cardboard packaging enhances the testing experience with a visual step-by-step instructional guide and an easy to follow reflux symptom guide included in every box. Packaging has been streamlined with a die-cut insert that can hold up to three tubes while offering storage space for full instructions and a pre-paid return packet, so you don’t have additional costs to return your samples. Our saliva collection tubes have been updated to include a line that indicates the required level of saliva sample and clear labelling. The online order page on the Peptest website has also been redesigned to deliver helpful tips to customers in a simple and straightforward way. Since its launch in 2012, thousands of private customers have ordered Peptest online with more than 1.4k people receiving positive results for the presence of pepsin. 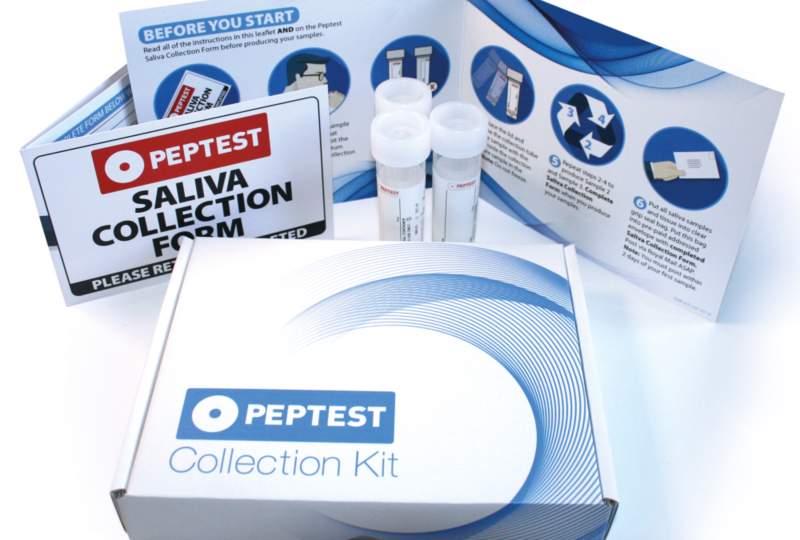 Your Peptest kit includes full instructions, two or three saliva collection tubes and a pre-paid return packet. After returning your samples, your saliva is tested at the RD Biomed lab at Castle Hill Hospital, Hull. 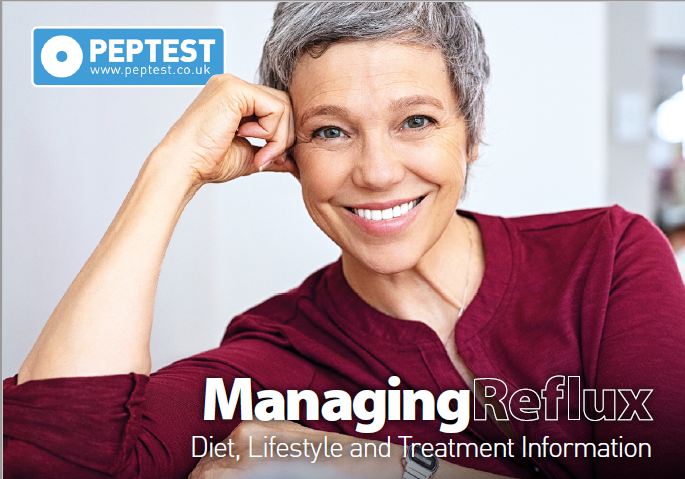 You then receive an email with your results within two working days, as well as a free digital ‘Managing Reflux’ booklet with information on diet, lifestyle and treatment for reflux.